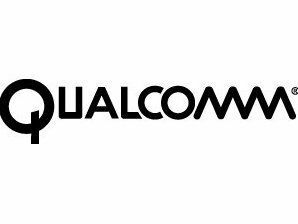 Qualcomm has announced that it will be showing off its FLO enabled smartbook applications at MWC, uniting Live TV viewing with 'real-time Web content, social networking capabilities and personalized digital media stored on the device that can be accessed at anytime'. The FLO applications run on devices sporting the Snapdragon processor from Qualcomm and are designed to offer what the company is caling 'powerful' new consumer experiences. "The technology seamlessly combines live mobile TV programming with personalized, real-time streaming data and access to popular social networking sites like Twitter, along with additional content, such as video clips and e-magazines, explains Qualcomm. "The new smartbook applications illustrate Qualcomm's vision for the future of broadcast mobile media and allow consumers to receive rich, relevant content while watching their favorite programs and simultaneously connecting with other people that share similar interests." So what does that actually mean? Qualcomm gives the example of a sports fan watching a live event and receiving real-time data streams about the players and match stats whilst also chatting about the game. "We are enhancing the smartbook experience, making it easy for consumers to watch TV and 'tweet' with friends and other viewers, all while accessing a full range of relevant content," said Bill Stone, president of FLO TV Incorporated, a wholly owned subsidiary of Qualcomm. "The idea of watching television on your laptop is not new, nor is the idea of receiving personalized information about things that matter to you. "However, marrying our FLO-enabled broadcast services with the content consumers love and the social networking platforms they frequent is new, and it illustrates how mobile media and the Web can come alive together for the ultimate in a personalized experience." The applications in FLO are currently a live Twitter feed, local 'Buzz' (not to be confused with Google's latest social networking efforts), breaking news, Sportscast offering live sporting events, video on demand that can be stored on the device and a library of e-magazines. "Snapdragon-based devices with their long battery life and advanced 3G connectivity are changing the way consumers access mobile content and entertainment," asserts Luis Pineda, senior vice president of product management for Qualcomm CDMA Technologies. "Combining the strengths of FLO mobile broadcast technology with our chip platform makes for a powerful and addictive connected entertainment experience for consumers and helps us to clearly differentiate and rise above competitive mobile entertainment solutions."